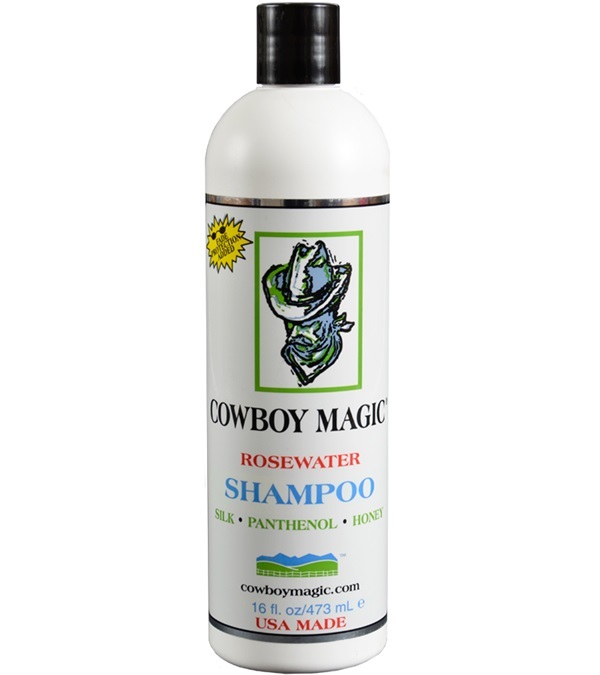 Cowboy Magic Concentrated Rosewater Shampoo 16 oz. - Jacks Inc. Cowboy Magic® Concentrated Rosewater Shampoo 16 oz. 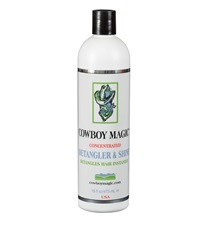 Works instantly to break down dirt and unwanted matter without damaging hair. Added silk protein and panthenol penetrates the hair and deep conditions the skin preventing dryness. The silk molecules reflect prism light giving the hair a rich, natural shine as it restores vibrant beauty. Dilute 10 to 1 for body. Contains an UV protectant for extra protection. 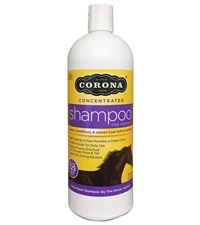 Corona® Concentrated Shampoo 32 oz. 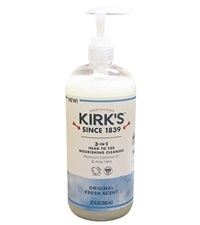 Kirk's™ 3-in-1 Head to Toe Nourishing Cleanser 32 oz. 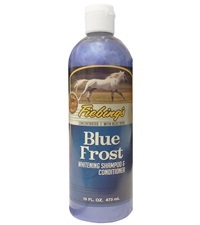 Fiebing's Blue Frost Whitening Shampoo & Conditioner 16 oz. 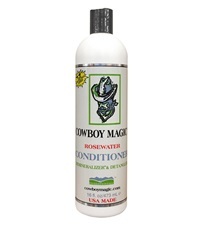 Cowboy Magic® Rosewater Demineralizer™ Conditioner 16 oz.